Dr. Pankaj Sharma is Assistant Professor and the Head of Department of English at Govt. Degree College Ramnagar, J&K. He is M.A (English), M.PHIL, PhD, and also has Diploma in Yoga and Physiology.He is, in fact, a seasoned academician. 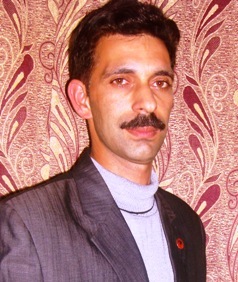 He is a creative writer writing in English, Hindi and Dogri Language. He has organized a number of Workshops, Rallies, Seminars, Debates, Symposiums, Socio-Cultural Programmes for the conservation of original folk literature and is also an environment activist. He has attended and participated in a number of Local, State level , National and International Seminars, Conferences, Teacher’s Congress, General Workshops, and Workshops on Translation, Workshops and Training Programs on Communal Harmony, Gender Studies, Environment and Sustainable Development, and Camps on National Integration.